On the clinic’s website late Thursday, staff called the closure a “temporary situation” and said they were “rapidly moving forward” on completing their license application. The clinic is scheduled to be opened Friday for normal business hours and will provide performers a list of alternate testing sites. Among the issues, said Al Lundeen, a spokesman for the California Department of Public Health, was the clinic’s lack of a required agreement with a hospital where patients could be transferred as needed. 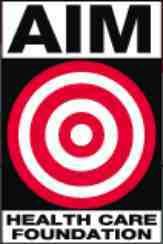 “AIM has been working on that,” Lundeen said, noting that AIM officials had been in contact with his office Thursday and provided additional information required for its license application to be approved. Lundeen said it was unclear how soon clinic officials could submit a new license application. As a beginner in website promotion, your article helps me a lot. Tnx man.